What is wrong with the middle? When it comes to innovation, nothing! To truly differentiate and make your innovation successful, it makes sense to focus on the middle because that is where people are most comfortable and are most likely to embrace change. This may seem counter-intuitive, but as Nir Eyal, a product expert recently wrote, people gravitate toward the familiar rather than jumping blindly to something new. Using the example of the California roll, Eyal explained that Americans were suspicious of sushi and raw fish, but the California roll, which contained familiar ingredients presented in a new way, provided a comfortable way to try something foreign. Suddenly, sushi was no longer scary and could make its way into the mainstream. There other examples of reconfiguring the familiar to change the way the mainstream approaches a product or service. Taking a slightly controversial stand, I’d argue that Uber, rather than being a radical innovation, is really a prime example of innovating for the middle. Hiring a driver and car is not a radical idea. Depending on your city, taxis, black car service, gypsy cabs, etc have been around for a long time. Therefore, at its core, Uber provides a familiar service – transporting individuals from A to B in a car for a fee – but delivers in a new and better way, combining technology, convenience, low cost and better service to provide an overall improved experience for the public. As with all new products or services, the ‘better’ can be cost, comfort, ease, etc, it doesn’t really matter. What matters, is by the time Uber entered the picture, the different components – a smartphone with internet access providing true mobility for individuals, and transportation services for hire – that make Uber so popular, already existed; much like the California roll, Uber merely reconfigured them to make finding and hiring a temporary ride and getting to your desired location more convenient and efficient. So, what does this mean for your innovation efforts? 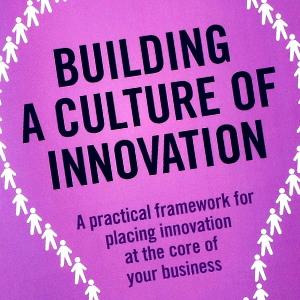 I’d argue it means you shouldn’t let your innovation programme suffer at the extremes – whether focusing too much on the low end through continuous internal improvement, or alternatively only on the high end through long tail, radical innovation – but rather look at ways to innovate for the middle. As fellow Future Shaper Cris Breswick talked about in a previous post, innovating for the middle can lead to true differentiation and should play a key role in your innovation mix. So, I know the next question is, how do you innovate for the middle? It means stepping back to look at how you deliver your products and services, and asking the question ‘how can I improve the customer experience for my best sellers?’ without losing sight of why they are your best sellers and how they meet the needs of your loyal customers. It means looking at the big picture and understanding your customers’ entire lifecycle so you can find ways to reconfigure their familiar to enhance their experience. In this age of extremes – all you have to do is read the latest news and watch all the political upheaval the world has witnessed in the last 18 months – we need to stop being afraid to embrace the familiar, or as Alex Hesz recently espoused, we need to stop being afraid to embrace the radical middle. When we focus on the extremes, we ignore the majority; when we embrace the middle, we have the chance to be innovative and stand out from the crowd, but don’t have to go looking for an entirely new customer base. And so I challenge you to truly engage your middle; push the limits, but don’t ignore the need to be familiar. Rosemarie leads strategy & product for the award winning innovation management software company, Wazoku.